Thank you very much for taking the time to visit Victory Crystals. This space was designed to fill your heart with inner peace, upliftment & light. Enjoy the connection and the magic. My passion has always been crystals and their healing & energetic properties. I love working with the treasures of the earth, they have called to me ever since I was a little girl. Crystals are always ready to assist you and reveal their magic to you. All of my items are intentionally created and picked with love, mindfulness and consciousness. Each piece is deeply infused with uplifting intentions and healing vibrations from my heart to yours. We have worked hard to establish a wonderful relationship with our suppliers who value the same ethical mining and conscious sourcing of crystals. We must respect the Earth and the gifts she provides. Crystals are a source of energy that can be harnessed to work a positive purpose in our lives. 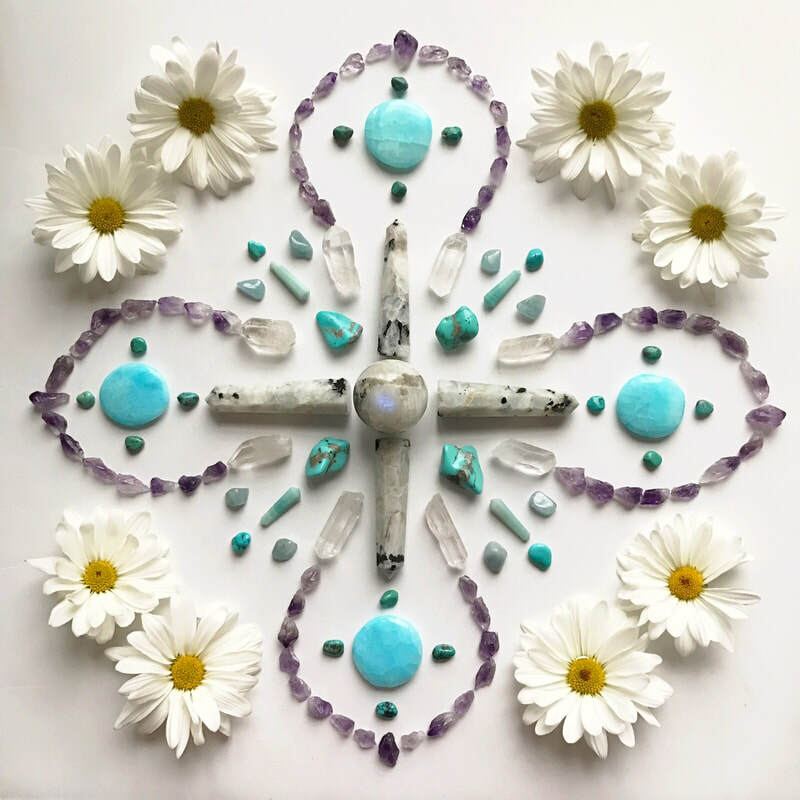 The healing power of crystals goes hand in hand with intention. I believe that crystals are sacred gifts to aid us in our life. To inspire us to believe in our capabilities, free ourselves from our fears, to manifest our dreams, and compliment holistic healing. I am a Certified Crystal Practitioner and Certified Usui Holy Fire Reiki Master Teacher. I also work with shamanic energy and sound healing with crystal singing bowls. I sage cleanse and infuse all crystals and jewelry with Reiki energy to further enhance the healing benefits of each stone to help uplift, assist and raise the vibration of the ​mind, body & spirit. Life is the ceremony. How we choose to live it is the ritual. ​Thank you for walking with me on this beautiful journey. Namaste.